You Sing “AMERICA” —Why Not SEE it? 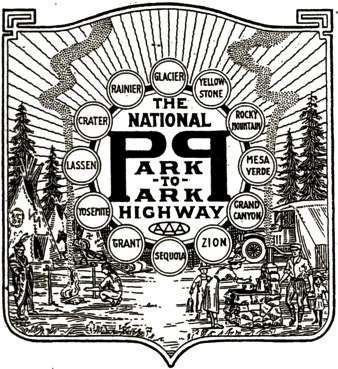 The National Parks Service and AAA sponsored a 76-day, 5,000 mile dedication tour along the newly designated highway in 1920. 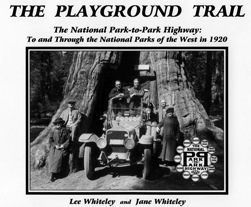 The Playground Trail: The National Park-to-Park Highway includes 45 photographs taken during the publicity tour along the “Master Scenic Highway of America,” a road which connected the 12 National Parks of the West. 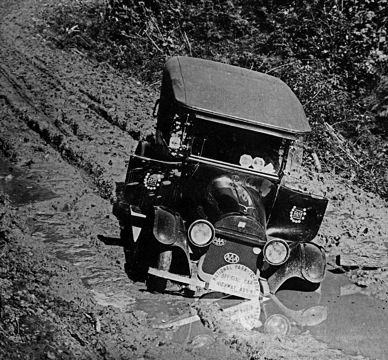 The 1920 Buick, part of the dedication tour caravan encountered bad roads south of Castle Rock, Washington. The car was rescued with the help of the tour’s White Truck.